Our 3 1/2" Fabric Vertical Blinds can transform any window from drab to fab! Available in 10 light filtering colors, this window solution is a fantastic alternative to drapes. This treatment comes standard with a coordinating valance and sewn in bottom weights. Looking for more light control or vane stability? Just add the optional channel panel insert - also great for a uniform look from the exterior. As with all our products these verticals come with free shipping and our lifetime warranty. 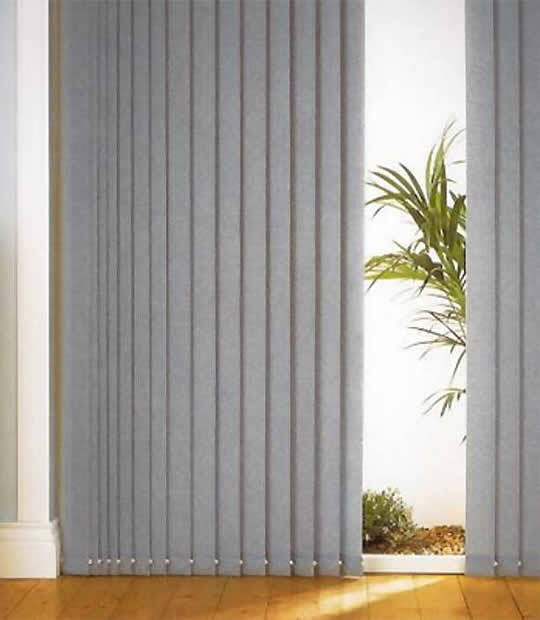 Fabric vertical blind vanes come with sewn-in weights on the bottom. Minimum depth for flush inside mount = 3 3/4"